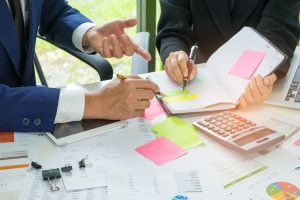 At some point, every operating business whether large or small has had to face, or will possibly have to face, a situation involving debt collection. In today’s fast-paced economy, some customers may be having more difficulty than normal paying their overdue debts. For small business owners, this can be a little tricky. Recovering bad debt is not always a quick and painless process and can cause crippling problems for some small businesses for example, cash flow problems. Cash flow problems can cost you, the business owner, time and money. In every industry there are positive and negative ways to handle outstanding debt. If you have a great debt collection procedure, you can ensure that by collecting debts owed to you, you are adding to the profitability of your small business. We have compiled a few tips and tricks to help small business owners better collect on bad debt. First, let’s start with invoices. Invoices are bills sent by goods suppliers or service providers to a purchaser. The invoice provides the details of the agreement between the buyer and seller. This indicates that payment is required for the trade of goods and/or services rendered. Often this is created by accounts receivable. It is very important that your invoice establishes clear terms of trade. The invoice must have a due date as to when the payment is to be settled, so this is clearly communicated between both the buyer and the seller. It is recommended having a section on the invoice that explains what date the payment is due on or within so many days. It is also important to mention where and how the customer can make payment, provides your banking details if you want payment made by EFT, and whether you take cheque or credit card payments. With a properly written invoice, you can better your chances of being paid on time. In addition to a properly written invoice, prompt invoicing is highly recommended. Prompt invoicing improves cash flow and working capital for your business and lets your customer know when their payment is due. A customer sees more value in your product or service when they initially receive it so delaying the invoicing process can hinder your chances of getting paid. If you are aware of a client’s bad debt, before engaging in trade, you may be able to save yourself time and money! You may be able to avoid chasing them for missed or late payments or even worse not getting payment at all. This is considered a preventative measure for businesses who want to minimise dealing with debt collection. If you haven’t done a credit check, or don’t know how to – it’s really simple! You can start by doing a reference check. Make sure to get references from potential clients – find out information on people they have traded with or done business with previously. You may want to ring some of their past suppliers. You can also do a data check or credit check online if you are a member of search databases. This should give you a good indication on what type of customer you are dealing with, and if they are someone who does good business. It is important to complete a background check before agreeing to trade with any potential client. Having your customers know and sticking to your payment terms will also help your customers avoid a phone calls. A 30 day from invoice payment term is widely used and very affective. These 30 day payment terms can be used when agreeing upon trade. With a 30 day payment clause written into your terms and conditions of trade, you can clearly outline a due date for your client. This due date indicates that if they don’t pay by the agreed upon date, your business can charge them interest etc. If they continue to leave the invoice unpaid, the interest will accumulate every month that they are late. Eventually they will owe you the original amount, as well as the amount of accumulated interest. It is recommended to send friendly payment reminders to any late paying customers. Once you have outlined proper trading terms, stated that there are 30 days for payment, you are well within your right to call the customer if you have not received payment within 30 days. If you have not received payment within 30 days, you can call the customer at 31 days. If they continue to be late on their payments, continue phoning them. You can continue with these friendly reminders until the payment has been settled. In most cases these friendly reminders will be enough to make the customer pay. However, in some cases, this is still not enough to get that customer to pay up. If this is the case, working with a debt collection agency is your best bet. They will send a collection letter, also known as a letter of demand to the customer. The collection letter will generally tell the customer that they have 7 days to pay. If this still does not get the late paying customer to pay, further legal action may be required. This should also be addressed in the letter. More often than not, this will be enough for that customer to settle the debt.